How to Choose A Healthy Dog Food - and where to go! - That Paradise Life! I’m partnering with PetSmart to introduce you to the most fabulous dog food, packed with probiotics and all kinds of great things for your dogs. Currently, in our family, we have three dogs. We LOVE our pups very much, and we give them the best care, which ultimately ends up being extremely expensive, and takes up a lot of time. In the spirit of working parents – I wanted to write an article on the best types of dog foods to offer your pups, and the best places to go to buy them. Both for convenience, time, and the almighty dollar. In our crazy schedules, we need to make sure that we can always find the food, and that it’s not ridiculously overpriced, am I right? I know that it’s not super fancy, not a boutique store, or anything like that, but I LOVE PETSMART. PetSmart has absolutely everything! Whenever we brought home a new pup, their employees were always very helpful on where to start and what to buy (and always offered coupons) for your new pup, they were amazing! Because bringing home a new member of the family is always an exciting time, but can also be very chaotic and confusing if you don’t have a guide. The first place that a new pet owner is always told to start at is with food. You MUST make sure you are buying the best possible food for your pup. Remember, that all pups are different, and have different digestive systems, allergies, etc. So when I say that you need to buy the best food for your pup, I don’t mean the most expensive, or the most highly ranked. Look for a food formulated for your dog’s age. Consider a healthy food formulated for your dog’s size. Think about your dog’s activity level. Pay attention to your dog’s specific nutritional needs. Make sure that you are feeding your dog REAL foods – grain free, and packed with healthy probiotics and antioxidants. 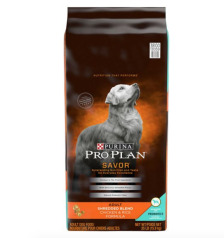 I absolutely fell in LOVE with Purina® Pro Plan® Probiotics. For one, it’s always convenient to find at PetSmart, and PetSmart is always open late for the consumer getting off late at work, such as myself. Also – it’s not ridiculously overpriced. So you may be thinking – what ARE Probiotics? 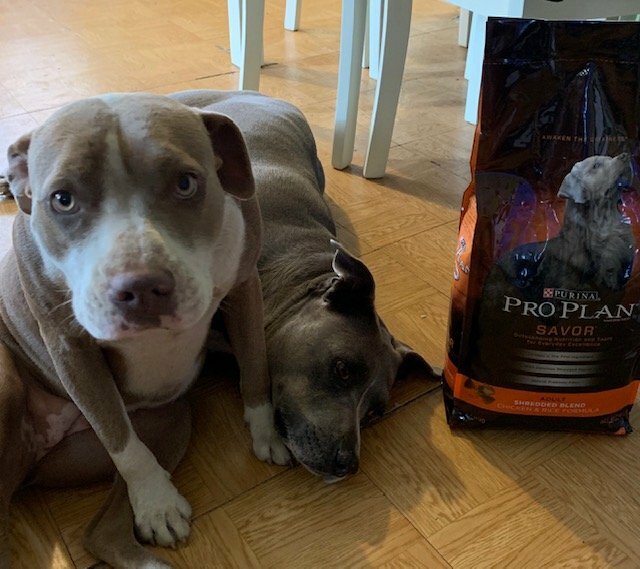 Check out the link HERE to learn more about the $10 offer and Purina® Pro Plan® Savor® products. So let’s review – HOW DO WE CHOOSE THE BEST DOG FOOD? Make sure that you are feeding your dog REAL food – grain free, and packed with healthy probiotics and antioxidants. Step 2 – Go to your nearest PetSmart and create a relationship with their employees – they can be the best, and the most helpful! Step 3 – Feed your pup and watch them grow, stay healthy, and continue to thrive!